What motivates you? What drives you? What is it that keeps you moving forward, pressing toward a goal each day? Is it singular or multi-faceted? Okay, so we are moms, and the truth is, it is likely in the norm of our consistently multifarious capacity, that we have many goals we want to accomplish; things we are striving for, so many checks on our list that our heads are spinning. Do I hear an “I second that!”?!? Something tells me I would see that knowing glance that is exchanged between moms; it’s more like a code really. The nod, the eyebrows and eyes gazing off in identification and recollection of a similar situation they faced earlier today; in the grocery line, on the phone, en route to an important meeting…. The multi-focused mom: As I tried to get this intro post off my laptop and into cyberspace, I found myself interrupted by the necessary duties of managing finances, children and their friends, and pressed by follow-up calls, a drop-in visit and a slow moving startup. Can I hear my affirmation, “I hear that!!”? I know moms convinced that several people have their phones set to a timer to call at the same time multiple times a day, because it never fails, those calls come all at once and we’re left to triage between the food cooking, children whining over who had the toy first, then intermittently climbing over or under your downward facing dog because they are convinced you morphed into that move just for them, 3 incoming calls, and a business to manage. Not to mention, can I have just a minute? A MOMent for mom: Moms should have cheerleaders who tell them they’re still doing a great job, their bodies aren’t that impacted by the birth of several children (though we OBVIOUSLY know otherwise…need I mention the ways?) Again, the glance. J That cheer should include a truly all-expense paid vacation to an exotic location and a tossing of a bucketful of our favorite chocolates. Were it only that easy! The Mom reality check: See, I have never found a skin-smoothing, bubbly bath product that could just “take me away”, nor have I ever spent my evening lazing in bed watching a sappy love story while consuming little round chocolate mounds that took all my cares away. The reality is, I’m a super-non-stop mama who loves- who HAS- to seize moments…even if that means “planned spontaneity”, or, as I like to call it, “leaving room for the spontaneous”. MOMents of truth: See, the truth is, I am deeply motivated. I have way more than 1,000 places I want to see before I die. It’s finding the time (not to mention, dinero) to book the flight that keeps me from hitting Li River in Guangxi, China http://farm3.static.flickr.com/2126/2451589321_6ca7fa63c6.jpg in a native organic bamboo SUP http://www.360cities.net/image/yulonghe-yangshuo-guilin#238.00,-1.50,90.0 , http://www.1000beforeyoudie.com/Place.aspx?placeId=26 or visiting Krabi, Thailand’s http://www.travbuddy.com/Krabi-travel-guide-631687/photos/view/0 Phang Nga Bay for a bit of sea kayaking and relaxation. The way I see it, mamas, I have to love where I’m at; appreciate and embrace and share as much good that I can, and just keep on growing and learning. I hope this can be a forum where we can all do that together. I’m so amazed with the mom’s and the women I know! So here we go- let’s make this a resource pool and an encouragement and renewal stop along the way of your seriously Motivated Mom business. Some topics to come: Ways to travel on a budget or outnumbered (yes, by children), how to get in health shape while making your son or daughter smile, the balancing act of fashionable wear and functional gear, the art of seizing the moment, a healthier heart and mind, practical must-haves in the family fun cabinet, humor, the stroller that makes sense and actually works, camping with kids, running barefoot through the neighborhood….so much more. Send us your ideas so we can hit on topics YOU really are itching to explore (a resource minute). 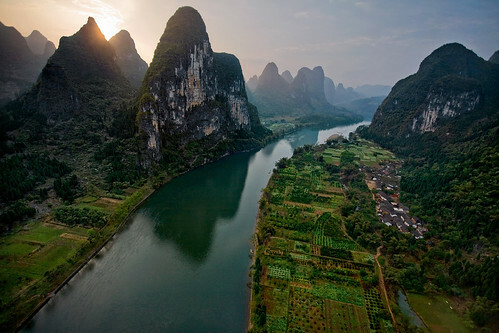 In the meantime, since I so want to hop on that SUP in The Li River, I think I’m gonna get my practice on….a bit nearer to home. http://www.clearwateroutdoor.com/news-detail-water_body_yoga_paddling_for_the_soul-18.html Something tells me if I attempt fancy footwork and end up doing a belly flop, I will look like a total tourist when I get there! I meant enjoyable reading, but thought it was kind of interesting that it came our enjoy a bike reading. We all need to break away from things from time to time and relax. I think every Mother can relate to this. I am reminded of several things in my life that relate to exactly this life as a Mom, Grandmother, employee, Enjoyablke reading! They've got another thing coming!!! I'm not a Mom, but I'm passing this along to my Mom!